What is the purpose of a government if not to protect the lives and safety of its citizens? The case is the first Canadian lawsuit of its type, but follows in the footsteps of a successful climate lawsuit in the Netherlands that ordered the Dutch government to decrease greenhouse gas emissions more rapidly, as well as several other lawsuits in the U.S., European Union, U.K., Norway, Pakistan and elsewhere. We applaud ENJEU and their lawyers for taking this step and wish them luck. Anyone who is following the increasingly alarming warnings from climate scientists, and the inadequate response from the Canadian government, should recognize that Canada urgently needs this type of litigation. Above our heads there is a growing, heat-trapping blanket of fossil fuel pollution, slowly destroying the health of our global atmosphere. Anyone who has read about the recent findings of the Intergovernmental Panel on Climate Change (IPCC) knows that people are already beginning to die from “natural” catastrophes that have been made worse by global fossil fuel pollution, and that this is going to get much, much worse. Really, the remarkable thing is how complacent we’ve all been about an economy that is quite literally killing people. That’s changing, not only with court cases like Environnement Jeunesse v. Canada (and our proposed class action by BC communities against fossil fuel companies), but also the rise of the Extinction Rebellion in the U.K. and other similar movements. the right to live in a healthy environment where biodiversity is preserved (s. 46.1 of the Quebec Charter). The claim that climate change affects each of these rights is 100% correct. The health and public safety implications of climate change are increasingly well documented. A commission established by the Lancet, the world’s premier medical Journal, has described climate change as the greatest threat to public health worldwide. This video (It’s About our Health, by Climate Guides) is an accessible summary of many of the connections between Canadian health and climate change. Given the overwhelming evidence that climate change causes harm, and the fact that other courts in the international community have set precedents recognizing these harms, the federal government will probably concede that climate change is harming and will harm Canadians in ways that affect their health and safety and disproportionately harm young people. Canada is not the problem – The government may try to argue that climate change is not in any significant way caused by Canada (which has produced about 2% of historic greenhouse gas (GHG) emissions and about 1.6% of current emissions) – but by the global economy as a whole. This argument was raised in the Urgenda case in the Netherlands, which is responsible for about 0.5% of global emissions, and the courts did not have a lot of sympathy. [C]limate change is a global problem and therefore requires global accountability. … [M]ore reduction measures have to be taken on an international level. It compels all countries, including the Netherlands, to implement the reduction measures to the fullest extent as possible. The fact that the amount of the Dutch emissions is small compared to other countries does not affect the obligation to take precautionary measures in view of the State’s obligation to exercise care. After all, it has been established that any anthropogenic greenhouse gas emission, no matter how minor, contributes to an increase of CO2 levels in the atmosphere and therefore to hazardous climate change. The Netherlands has a relatively high per capita CO2 emission compared to other industrialised countries. In terms of emissions, the Netherlands currently ranks 34th of 208 countries. Of the 33 countries with even higher emissions, only nine have a higher per capita emission, and not a single one is an EU Member State. Of the total of greenhouse gas emissions in the Netherlands, 85% are CO2 emissions, largely generated by the energy sector. Canada’s per capita emissions (or emissions per person) of about 20 MT per year are well over twice that of many other OECD countries. In order for ENJEU’s case to succeed, it must convince the Canadian courts to follow the Dutch courts’ reasoning and hold that even if Canada can’t protect the rights of youth by itself, it is required to do its part. Government is not the problem – The Canadian Charter of Rights and Freedoms guarantees that the government will not take away the rights of Canadians – but the government may argue that most of Canada’s greenhouse gas emissions are not caused by the Canadian government. Rather, the real threat is from individuals, corporations and other private actors, who are not subject to the Charter. 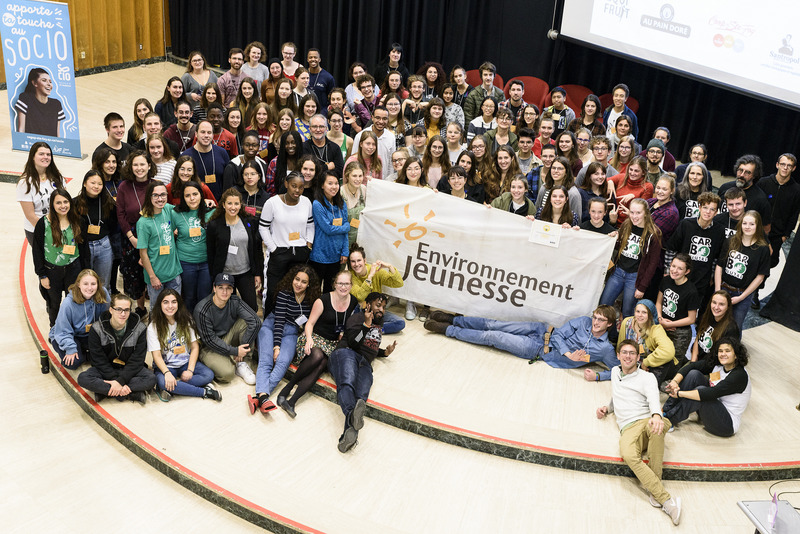 The youth will probably reply that they are challenging particular, inadequate government actions (such as a repeated failure of Canadian governments to meet their own GHG reduction targets, and the absence of a plan to achieve Canada’s 2018 target). This lawsuit challenges decisions defendants have made across a vast set of topics - decisions like whether and to what extent to regulate CO2 emissions from power plants and vehicles, whether to permit fossil fuel extraction and development to take place on federal lands, how much to charge for use of those lands, whether to give tax breaks to the fossil fuel industry, whether to subsidize or directly fund that industry, whether to fund the construction of fossil fuel infrastructure such as natural gas pipelines at home and abroad, whether to permit the export and import of fossil fuels from and to the United States, and whether to authorize new marine coal terminal projects. Plaintiffs assert defendants' decisions on these topics have substantially caused the planet to warm and the oceans to rise. They draw a direct causal line between defendants' policy choices and floods, food shortages, destruction of property, species extinction, and a host of other harms. The significance of both government regulation and fossil fuels in the modern Canadian economy is such that a huge portion of Canada’s greenhouse gas emissions are connected in some way to government action. Is “The Right to Life” really about the environment? There is a school of legal thought that suggests that section 7 of the Canadian Charter of Rights and Freedoms relates to the criminal justice system (arresting people, locking them up, and so on) and not to risks from environmental causes. While the case law has established that actual non-criminal justice threats to people’s health or well-being do engage the section, Canada may still argue that this provision was not intended to apply to climate change threats to human health. Years ago I published a paper – Public Health Hazards and Section 7 of the Charter – that argued not only that section 7 does apply to environmental public health risks, but also that lawyers arguing such cases should focus not just on substantive risks to health, but also poor government procedures for evaluating and listening to public concerns about those risks. I think these arguments could be raised in this case – with Canada having no credible plan in place to show how it will meet its 2030 greenhouse gas reduction targets. Is the class really harmed? Expect Canada to question whether the variety of youth covered by this class action are harmed by climate change in similar enough ways to allow them to be a “class.” Juliana and other U.S. courts cases have spent a lot of time demonstrating that the plaintiffs bringing the case are uniquely climate-vulnerable. They have included youth affected by wildfires or flooding, suffering asthma from wildfire smoke or loss of water from algae blooms and kids with other similarly compelling climate-related stories. Canadian law has been less concerned with demonstrating that plaintiffs are uniquely harmed, and a court may well accept that all youth face a disproportionate impact from climate change. That just scratches the surface of some of the arguments that we can expect the federal government to raise against these kids. Regardless of the outcome of the case, we need to start talking about how Canadian climate policy is hurting our youth (among others) and violating their rights. This is a conversation that must not be left to the lawyers and judges in the courtroom alone. our natural resources and our resource economy are being undermined by ocean acidification, the spread of pests like the mountain pine beetle and other climate-related impacts. Meanwhile, our government pretends that the fossil fuel industry is profitable (and, perversely, continues to subsidize it) because the industry doesn’t pay any of those costs. Instead, these costs are externalized onto the rest of us who suffer that harm. The Urgenda court case helped to transform Dutch climate politics, with all major parties now accepting that more needs to be done to reduce greenhouse gas emissions. That’s in large part because the Dutch public embraced the idea that fighting climate change is about protecting their rights. And now the Dutch Parliament is considering one of the world’s most ambitious climate laws. Don’t delay, ask your government what they are doing to protect our rights from the impacts of climate change. The top 20 fossil fuel companies are responsible for almost 30% of human-caused greenhouse gas emissions in the atmosphere today. Chevron alone is historically responsible for 3.24% of global greenhouse gas emissions. Canada is responsible for 2%. Governments and even courts are constrained by the perceived profitability of the fossil fuel industry, which is only profitable because it is not paying its fair share of the costs of climate change. Court cases that force the industry to pay its share create political space for stronger climate action by governments, while giving the industry an incentive to transition away from fossil fuels. Because it is possible to sue global fossil fuel companies for global emissions that cause harm in Canada, this type of litigation can have a greater international impact than litigation against one government alone. Other groups are exploring lawsuits against the Canadian government and we support those efforts. Fighting the forces that profit from the fossil fuel economy is going to take all of us and we need to try every approach. Although we have chosen a different strategy, we fully support ENJEU – and anyone else who brings similar cases elsewhere in Canada. These cases have the potential to reframe the public debate in Canada around climate change and protect all our futures. We will be watching the case with interest.